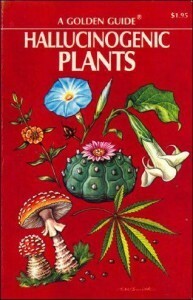 Hallucinogenic Plants was a part of a series of books and field guides published in the seventies under the name Golden Guides. Hallucinogenic plants were written by Richard Evans Schultes – a founder of modern ethnobotany. The book is a good intro to psychedelics that has been much further explored since it was published, but I have chosen to post it here because of its usability, rich illustrations (by Elmer W. Smith) and the fact that Richard Evans Schultes wrote it. Intro to psychedelics, it’s usability and rich illustrations. You are welcome here, Dan. Thank-you very much Web-meister. I am still learning Botany regarding Healing Plants and have much more to go! I have yet to read Culpepper’s book. First, thank you very much for sharing this rare book. Would you mind to upload a second version without the disclaimer “Downloaded from https://www.holybooks.com: https://www.holybooks.com/hallucinogenic-plants-golden-guide/“? At some spots this text is on top of the books text which makes it hard to read. I haven’t seen these disclaimers in other ebooks here yet. I would be very grateful if you could do this. You can also contact me via email and I can pay for it, if you won’t do it for free.